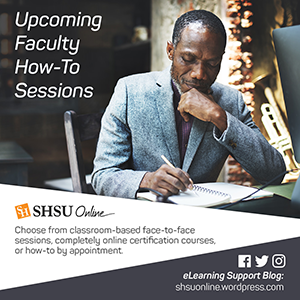 Each month, SHSU Online offers face-to-face and completely online technology training/how-to sessions for faculty and staff at Sam Houston State University. In April we are offering 12 face-to-face and 2 online courses to keep faculty and staff connected and in the know. April 2015 brings with it a continued focus on our sun-setting of Tegrity at SHSU with 4 sessions covering the technologies you will use in its place. 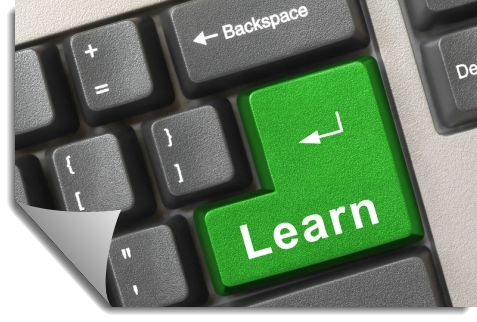 Piggy-backing off of their debut at the SHSU Online Teaching and Learning Conference, the use of electronic portfolios in Blackboard courses will also be covered. To help with student engagement SHSU Online is also offering sessions on voice tools (audio in your courses), creating and grading with rubrics as well as feedback strategies for your online courses. To sign up, please visit our Development Sessions sign-up page.